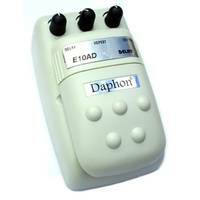 Daphon E10AD Guitar Analog Delay effect pedal. The E10AD analog delay offers authentic note reproduction to rival any delay device. Notes come back exactly as you played them: Not rounder, harsher or altered in any manner. 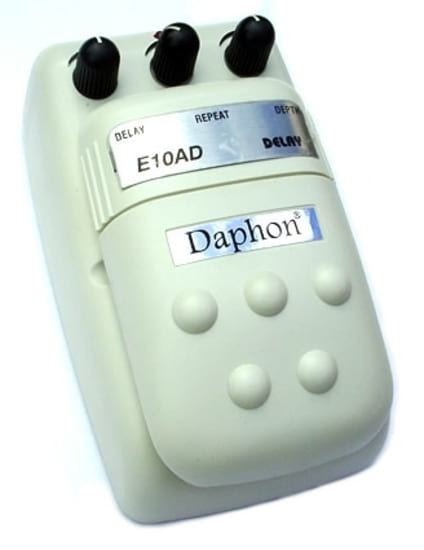 Daphon E10AD Guitar Analog Delay effect pedal. The E10AD analog delay offers authentic note reproduction to rival any delay device. Notes come back exactly as you played them: Not rounder, harsher or altered in any manner. 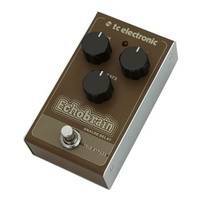 Compared to most digital delay pedals the E10AD analog delay produces a much richer sound, accentuating the original harmonics of the instrument, those sounds often lost with digital delay devices. 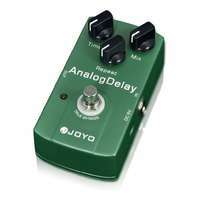 Use the delay, repeat and depth controls to get the perfect delay you are after. 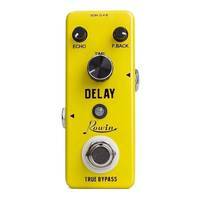 A delay pedal is a must for any experimenting guitarist. 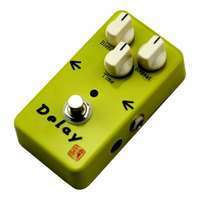 Delay KnobControls the length of the delay, or the time between the original and delayed note.Repeat KnobThe repeat knob controls the sustain or length of the delay by altering the fade out duration. Depth KnobControls the intensity or depth of the delay sound.Pedal Information: Suitable for Guitar and Bass Runs on a 9v Battery that is includedCan also run on a 9v ac adapter (please check our store) Single Input and Output (1/4" Jack)Heavy duty plastic casing Rubber sole to prevent slipping Although these pedals are designed for electric guitar, their analog design makes them compatible with most other electric instruments, including microphones. Absolutely loved it until it broke after 2 weeks of use. Not too happy. SWAMP: Apologies for the issue and thanks for the feedback. 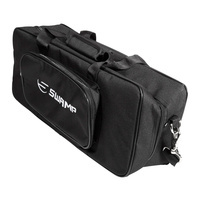 It's not a common problem for this product and we will contact you directly about providing a replacement or refund. We will also investigate our current stock and follow up with the manufacturer to make improvements. Cheap pedal nut not cheap and nasty. 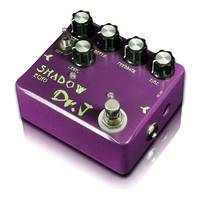 Great analogue delay effect. 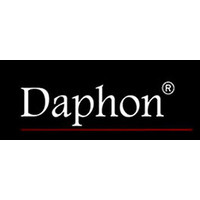 I have found this cheap range of Daphon pedals much more reliable than more upmarket models. Absolutely loved it until it broke after 2 weeks of use. Not too happy. Purchased mine on sale, but at $29.99 shipped it's still a great deal.